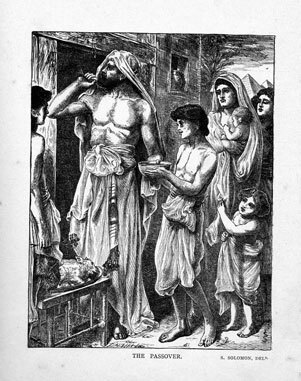 In 1881, the Dalziel brothers George, Edward and John, published Dalziels’ Bible Gallery, which contained six engravings of Solomon’s work from around 1862. 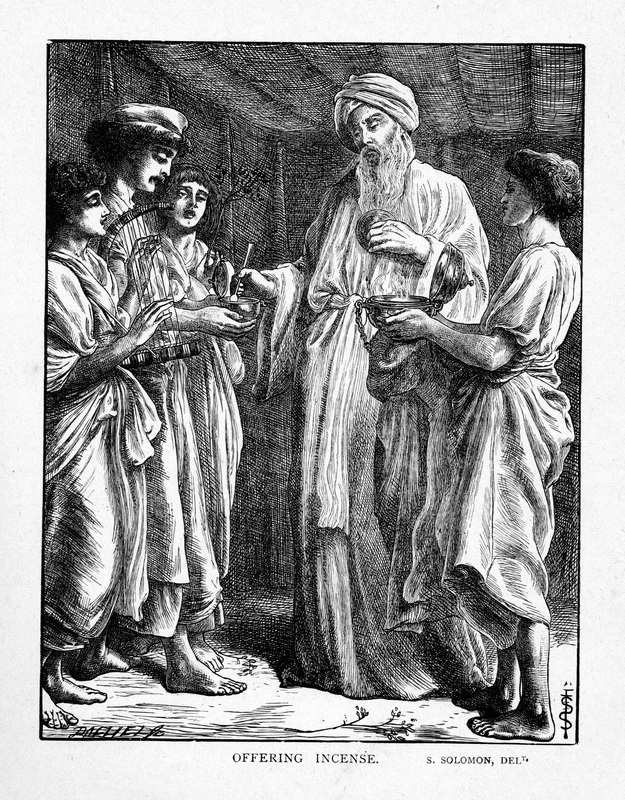 The brothers had contacted Solomon in 1862 to ask him to contribute to a forthcoming illustrated bible because they had seen the artist’s Mother of Moses (1860) which had been exhibited at the Royal Academy in 1860. 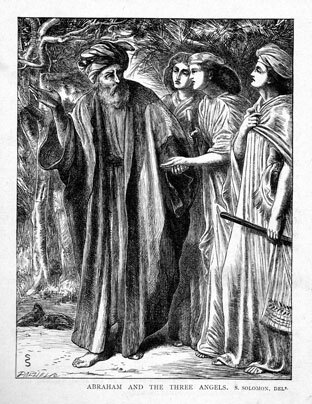 Solomon wrote to the Dalziels at the end of 1862, saying that he was seeking the permission of the owners of his paintings in order that this work could be reproduced as engravings by the brothers. 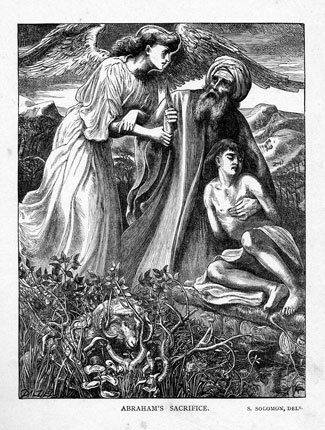 In their published recollections of forty years of engraving, the Dalziels revealed that the original concept of an illustrated bible had been abandoned in the early 1860s due to “disappointments of help” which they had “confidently relied upon”. 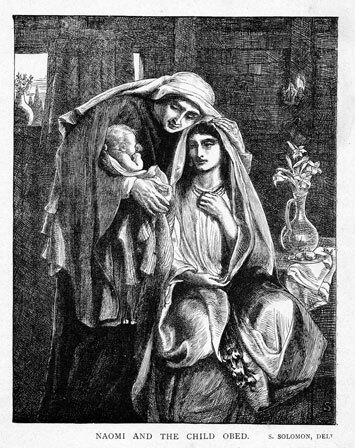 It seems that the project had been too “elaborate” and that artists such as Millais, Hunt, Watts and Leighton had already committed to work for another publisher. 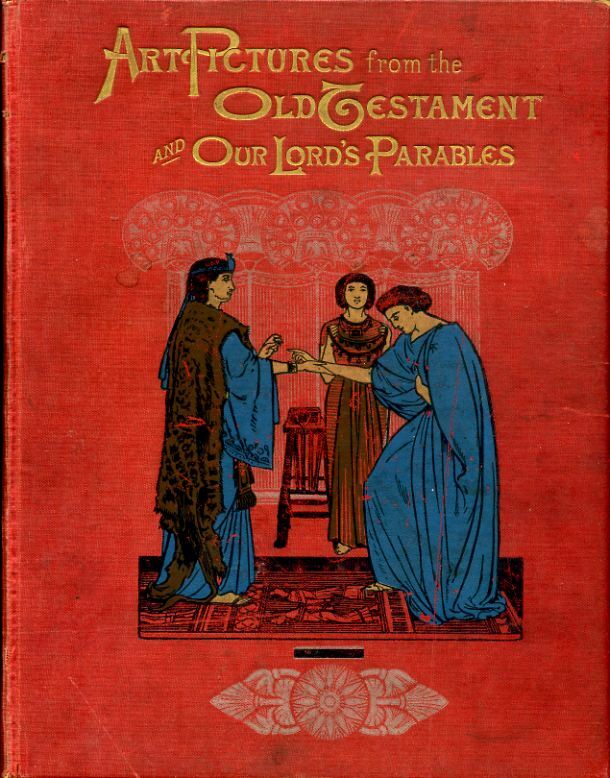 Instead, in the early 1880s, the brothers decided to publish some of the engravings that they had made “in a folio under the title of ‘Dalziel’s [sic] Bible Gallery." 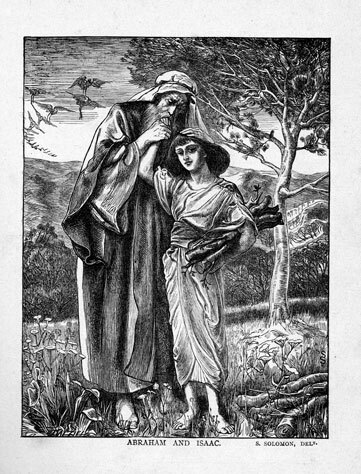 Solomon's work included Melchisdek Blesses Abram, Hagar and Ishmael, Abraham and Isaac, The Infant Moses, Naomi and her Child Obed, and Hosannah! 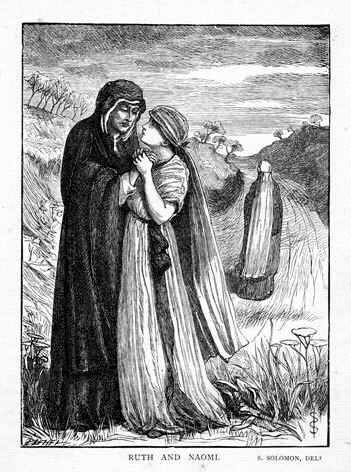 (see below) which were all engraved onto woodblocks by the Dalziel brothers around 1862-1863. (These blocks are now in the possession of the Birmingham Museums and Art Gallery - see below for links to to the block images on the BMAG site). 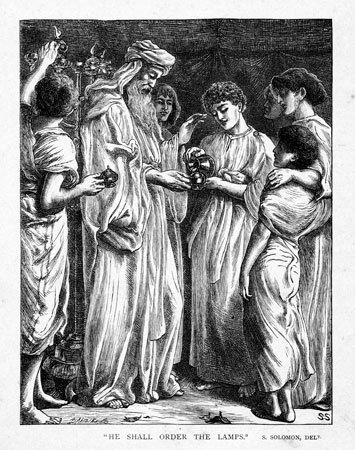 Dalziel Bros after Simeon Solomon, Naomi and the Child Obed, engraving, c1862. 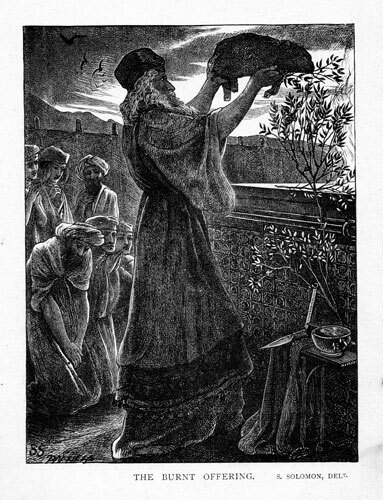 On the 13th November 1880, the Manchester Guardian published an article titled Christmas Books, which advertised the Bible Gallery as “probably” holding the “first place among the gift books of the year”. 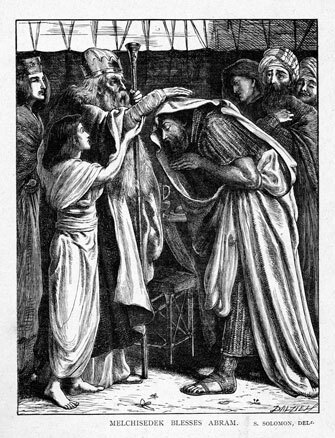 It suggested that Solomon was among the many “distinguished English artists” selected for the publication, which also included engravings of original drawings by Sir Frederick Leighton, E. J. Poynter, Sir Lindsay Coutts, Ford Madox Brown, Edward Armitage, Edward Burne-Jones, and G. F. Watts. 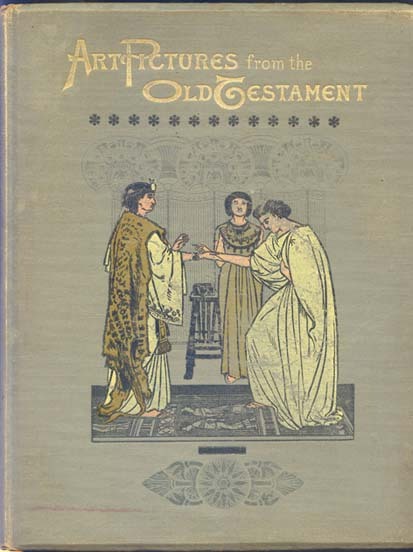 However, the article only chose to focus on Poynter’s and Solomon’s work, and suggested that some of Solomon’s work was “portrayed with great directness and verisimilitude”: “remarkable instances of this” included Naomi and her Child Obed and Hagar and Ishmael. 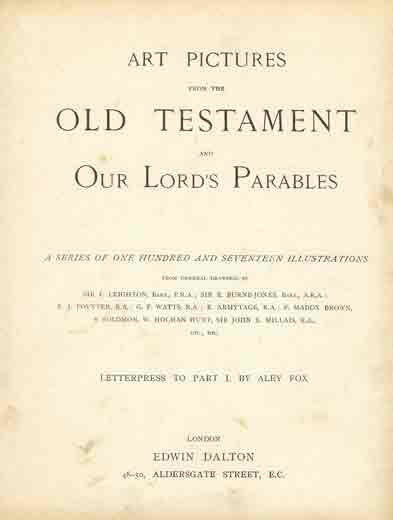 Unfortunately, the Bible Gallery project was a commercial failure, and only two hundred of the one thousand copies eventually sold. This appears to be despite the many good reviews that appeared in the press, who described it variously as “a memorial of the highest style of English wood engraving” and “a trophy of English art”. The failure of the Bible Gallery may have been down to its price. The Preston Guardian records that, in 1884, H. Robinson’s Book Emporium were selling the Bible Gallery in their bargain books section for 30s. The original price of the volume, which had been bound in vellum and printed on ‘India paper’ had been £5 5s, which is equivalent to approximately £254 today. It is clear that, three years after its publication, the book was selling for much less than its original retail value. 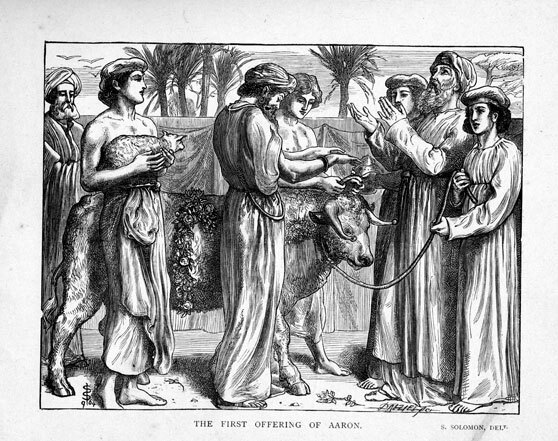 In 1882, forty-two of the original illustrations from the Bible Gallery were shown at the 62nd Manchester Royal Institution exhibition of pictures and other works of art. 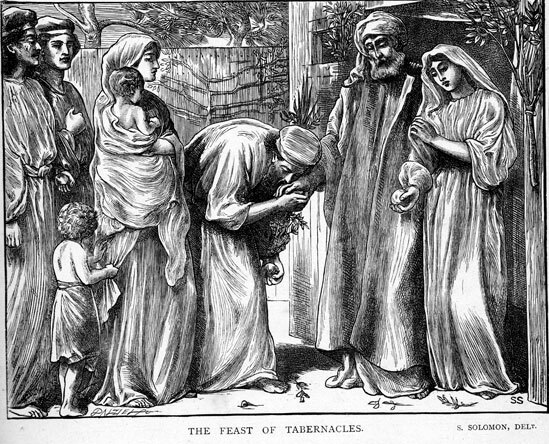 Around 1900, Fox re-published this volume again with an additional seventeen works by various artists, with an attached supplemental volume titled Our Lord’s Parables illustrated with twenty works by John Millais. Dalziel, George, & Edward. 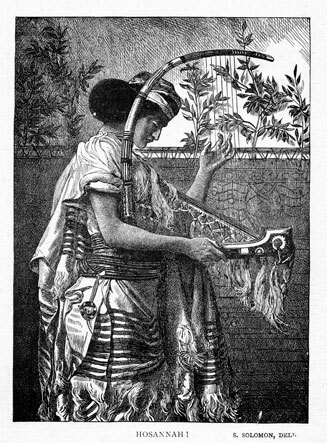 “The Brothers Dalziel: A Record of Fifty Years' Work in Conjunction with Many of the Most Distinguished Artists of the Period 1840-1905.” London: Methuen and Co, 1901. “Art, Science and Literature.” The Bristol Mercury and Daily Post 11 Sept 1880: 6. “Book Now on Sale.” The Preston Guardian 27 Dec 1884: front page. 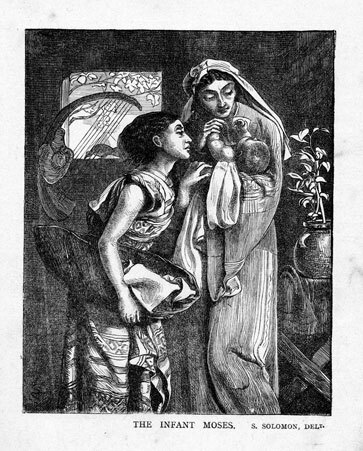 "Christmas Books.” The Manchester Guardian 13 November 1880: 9. “Dalziels' Bible Gallery.” Glasgow Herald 13 Nov 1880: 4. “Manchester Royal Institution Exhibition.” Liverpool Mercury 23 Oct 1882: 6. “Obituary of George Dalziel.” The Times 8 August 1902: 3. 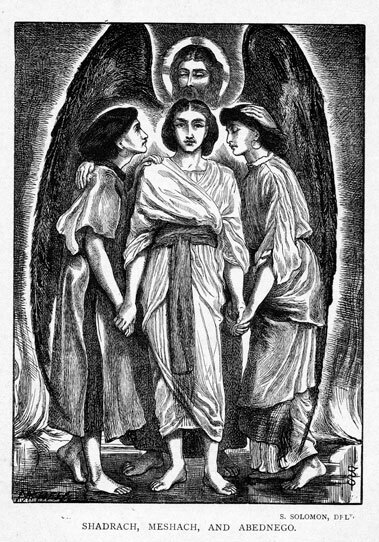 NOTE: I have also used information taken from Stephen Kolsteren’s , “Simeon Solomon and Dalziel's Bible Gallery.” 1998. www/ourworld.compuserve.com/homepages/skolsteren, (last accessed July 27, 2005). Unfortunately, as of 6 July 2009 this page no longer exists on the internet. 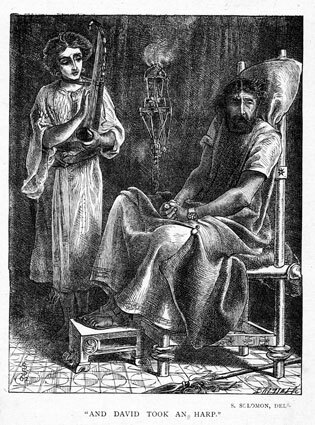 Kolsteren’s article had reproduced a letter, from his own collection, from Solomon to “Mr. Dalziel”, which Kolsteren dated to the end of 1862. Cooke, Simon. 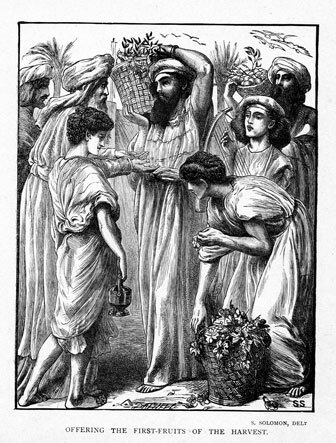 "The Dalziels' Bible Gallery." The Private Library fifth series, vol 10:2, summer 2007: 77-78. Cooke, Simon. 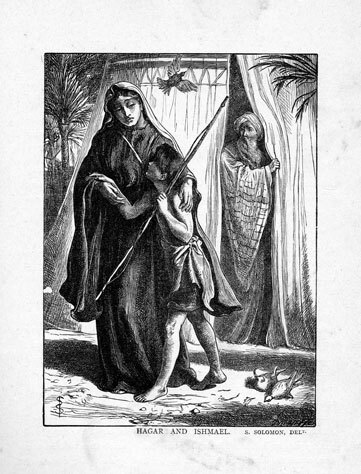 Illustrated Periodicals of the 1860s: Contexts and Collaborations Private Libraries Association, The British Library, Oak Knoll Press: 2010. Cooke, Simon. 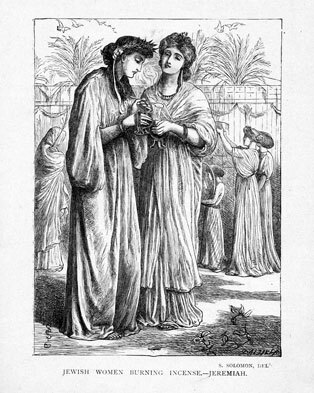 "Interpreting Masculiinity: Pre-Raphaelite Illustration and the Works of Tennyson, Christina Rossetti and Trollope." 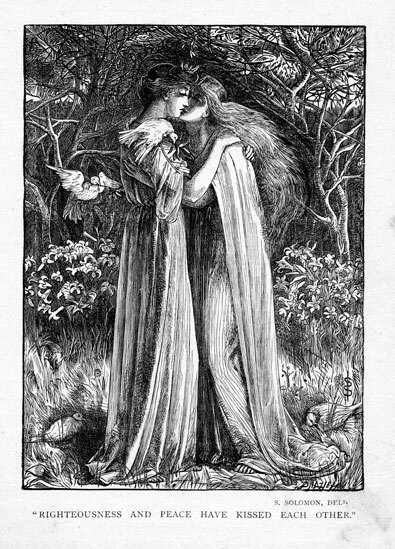 in Amelia Yeates & Serena Trowbridge (eds), Pre-Raphaelite Masulinities: Constructions of Masculinity in Art and Literature. Ashgate 2014: 127-150.